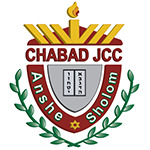 Join us at Anshe Sholom Chabad JCC for the High Holidays! No prior experience necessary and all are welcome. No one is turned away. • Traditional services blended with contemporary messages through-out. • Shofar Sounding & Delicious Break-fast to follow final service on Yom Kippur.